Live & Learn is a dynamic learning network of local organisations working towards an equitable and sustainable world free from poverty. Live & Learn operates in 11 countries across the South Pacific, South East Asia and the Indian Ocean. Live & Learn country offices are registered as local organisations in their respective countries. They are locally managed and have strong local partnerships with government agencies and other institutions. Building local capacity, confidence, skills and partnerships within our network is fundamental to Live & Learn. This strengthens our relationships with communities, builds local ownership and ensures long- term commitment to positive development. The Live & Learn International office in Melbourne provides support to the Live & Learn network offices in the areas of: capacity building and technical skills; technical advice and quality assurance; knowledge sharing and learning; financial monitoring, compliance and auditing; resource development; monitoring and evaluation. In the South Pacific Live & Learn local offices operate in Fiji, Papua New Guinea, Solomon Islands, Vanuatu, Kiribati, Tonga, Australia and New Zealand. In Australia Live & Learn operates in the Northern Territory and the state of Victoria. The Northern Territory office was established to provide opportunities for Indigenous and non-Indigenous people living in remote communities. Challenges for sustainable development include remoteness, isolation and the extreme climate. In this environment our work focuses on increasing community resilience, transitioning to more sustainable use of resources such as water and energy, and promoting increased local production of food and other services.In contrast to the Northern Territory, Victoria is Australia's most populated state. In Victoria about 66% of its native forests have been felled since colonisation – making it the most heavily cleared state in Australia. Live & Learn is working with community groups in the Central Highlands around 80 kilometres North-East of Melbourne, aiming to improve community awareness on the value of the remaining forests and the need for their protection. In Papua New Guinea Live & Learn has established the Nakau Programme - a regional Payment for Ecosystem Services (PES) and REDD+ Program, which aims at providing indigenous landowners with alternative sources of income to replace unsustainable activities such as destructive logging or land clearing. The first pilot Nakau projects were implemented in Fiji, Vanuatu and the Solomon Islands with funding support from the European Union and ADB. The program was successfully transferred to a social enterprise, with commercial companies continuing to purchase PES credits. 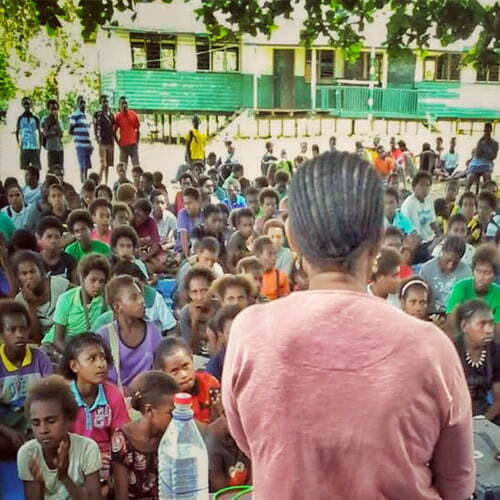 Water, sanitation and hygiene programs are a regional focus for the Live & Learn offices in the South Pacific, with Live & Learn implementing projects in Vanuatu, PNG, Solomon Islands, Fiji and PNG through Phase 1 and 2 of the Australian government Civil Society WASH program. 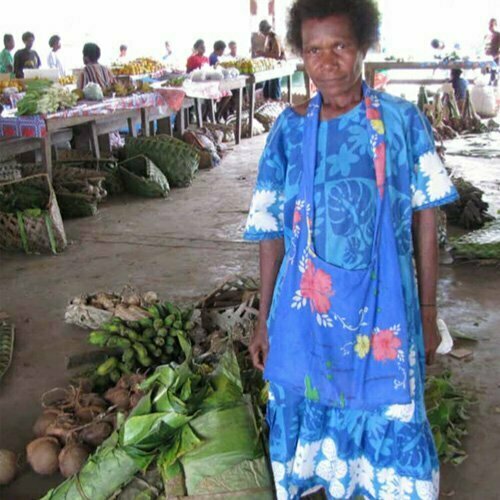 The Solomon Islands WASH program was included in Phase 3 – Water for Women Fund. Gender & Human rights are also a strong focus for the Live & Learn offices in the South Pacific region, with successful projects against gender-based violence, building grassroots democracy, women’s economic empowerment through sustainable agriculture, and human rights and peace training in schools through child-focused development approaches. Live & Learn offices in Fiji, Solomon Islands, Tonga and Vanuatu work in partnership with UNDP on the Pacific Risk Resilience Program, which mainstreams disaster risk management and climate change adaptation into development planning and budgeting at all levels of government, while also strengthening community-resilience through establishing climate change and disaster risk management plans. Traditional farming practices based on resilient food crops is improving family food security. Live & Learn Fiji is active in emergency response, with its established local networks critical to facilitating rapid access to communities. It has worked with major partner Care Australia in recent cyclone response activities and is a partner with Care Australia in the Australian government funded Australian Humanitarian Partnership program.Live & Learn Fiji is a leader in the development of Pacific-appropriate educational resources linking policy to community action, integrated water resource management, sanitation marketing, hygiene promotion, inclusive WASH and WASH in Schools. 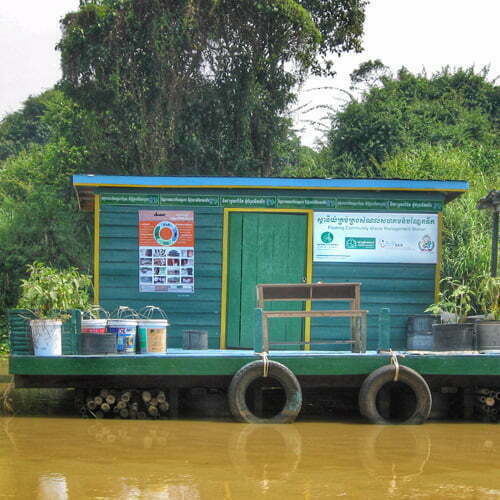 These resources are used in WASH projects globally. Live & Learn is a key non-government environmental organisation in Vanuatu that participates in a range of activities and contributes to policy development and review and consultation processes and routinely fulfils the role of public awareness and education within or complementary to government projects. Live & Learn often undertakes work where the Vanuatu Government lacks the resources to do so. This is reflected in partnership agreements to develop and implement priority programs and projects with the Department of Health, Department of Education, Department of Environment, National Advisory Committee on Climate Change, Department of Quarantine & Livestock, Department of Forestry and the Department of Agriculture. In Kiribati Live & Learn has supported WASH in Schools programs and implemented food security approaches that are based on protecting ecosystems, innovative farm technologies, dissemination of local farm knowledge, and community engagement in national adaptation planning. In the South East Asian region Live & Learn local offices operate in Cambodia, Vietnam and Timor-Leste.Live & Learn Cambodia has had a long focus on water, sanitation and hygiene in challenging environments. Live & Learn is a key innovation promotor in the country, introducing innovative solutions to cope with sanitation and hygiene, including the development of the eco-san toilet and floating bio digesters, and mobile learning materials such as flipcharts, videos and animation. Raising awareness on WASH and education is an integrated activity, utilising self-help groups, tuition classes and livelihood generating activities. In Cambodia Live & Learn has worked with Engineers Without Borders on the use of bio digesters and bio-char technologies to reduce the environmental impact of human and animal waste. This has led to the establishment of a social enterprise to sell the bio digesters. Live & Learn Cambodia works with New Zealand Aid on a large project in Angkor Archaeological Park to address food security, lack of income and flooding. This project benefits the people living within the park through access to increased water for irrigation and improvements in water, forest and natural resource use, while also sustainably managing the heritage of Angkor Park. Water structures and ancient hydraulic systems have also been built, restored and repaired in order that the watershed in the Siem Reap region be managed. Repairing and restoring the ancient Khmer hydraulic systems channels water through canals into reservoirs to mitigate climate change by controlling flooding in the wet season, and providing water for irrigation in the dry season. In Timor-Leste Live & Learn works through the Ministry of Education and UNICEF to strengthen the delivery of environmental education through primary schools. Teachers in Timor-Leste now use environmental education manuals for grads 4, 5 and 6, supported by posters and ecology advocacy material. Live & Learn Vietnam promotes clean energy communities and advocates for sustainable energy alternatives through government advocacy, community advocacy through the production of short films, social media campaigns and digital publications. Live & Learn also works with foundations, development organisations and civic groups to increase their outreach and advocacy through social media campaigns and accessing opportunities of information technology. Live & Learn also works with young leaders to improve ethical awareness skills, youth-led effective environmental action campaigns and the establishment of peer-to-peer advocacy and youth-led environment clubs. Through different projects in environment and development, and active partnerships with governmental organisations, NGOs, businesses and youth-led groups, Live & Learn has developed new thinking and practice in participatory civic action and mobilization for Vietnam. In the Indian Ocean region Live & Learn local offices operate in the Maldives and Eritrea. Following a devastating tsunami in the Maldives on the 26 December 2004 the Asian Development Bank appointed Live & Learn to provide Technical Assistance to the Government of the Maldives for promoting sound Environmental Management. Since then Live & Learn has worked in the Maldives to organise multiple workshops and produce a series of resources, including: a Rapid Assessment of Perceptions on environmental issues faced by the communities; Toolkits in English and Dhivehi on Clean Communities, Beach Watch, and Water Quality; a guideline for EIA and Water Resource Management; a Guideline on Community Mobilization in the Maldives; and a strategic directions paper on Environmental Education. Live & Learn also worked with lecturers from Royal Melbourne Institute of Technology in Australia to develop a comprehensive primary school teachers' manual and toolkit used by schools and environment clubs throughout the Maldives to support existing and new environmental activities. Live & Learn in the Maldives has extensive knowledge and experience in the education and environment sectors. In Eritrea the Elementary Schools Environmental Education Initiative was implemented by Live & Learn in collaboration with UNICEF and the Eritrean Ministry of Education. This initiative built the capacity of elementary school students to understand and respond to environmental issues confronting Eritrea. In consultation with teachers, school administrators, Parent and Teacher Associations and students, Live & Learn developed a range of educational materials to promote a child-centred, participatory style approach to learning. The materials were designed to improve the knowledge, attitudes and skills of students on a range of environmental issues - such as climate change, desertification, erosion, biodiversity, water, sanitation, hygiene, waste management, endangered species, landmines and school food gardens. The materials offer teachers fun activities to use with students, background information, strategies to make teaching more effective as well as a toolbox of real objects to use in classes. Teacher training was conducted using a train-the-trainer process. The toolkits of books, posters, picture cards and teaching aids have been distributed to Elementary schools across Eritrea.